Building Description: Our staff is committed, expert and careful and is always there to provide you various best quality business services. • Panasonic a digital phone with display of the name of person who is calling, voice mailbox and conference features. 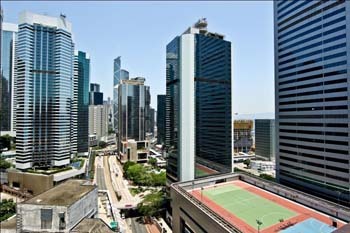 Location: Such Business Centers are located at the meeting point of Queenly and Wanchai, bordered by noble offices, hotels and rich green on the left and kaleidoscopic, time-framed landscape on the right.